Senate Minority Leader Chuck Schumer vowed to resist and obstruct since the day after Trump was elected. On Thursday, Schumer (D-N.Y.), made a stupid suggestion that Supreme Court nominee, Brett Kavanaugh’s confirmation should wait after the 2018 midterm elections. His reason: President Donald Trump’s former attorney, Michael Cohen, entered a plea deal in which he confessed to campaign finance violations, implicating the president. “A president, identified as an unindicted co-conspirator of a federal crime – an accusation made not by a political enemy but by the closest of his own confidants – is on the verge of making a lifetime appointment to the Supreme Court. A court that may someday soon determine the extent of the president’s legal jeopardy,” Schumer said Wednesday on the Senate Floor. Unfortunately for him, that did not end so well for him. Senate Judiciary Committee Chair Chuck Grassley (R-Iowa) put the kibosh on the idea that his committee would delay Brett Kavanaugh’s confirmation, and assured that the process will continue as originally scheduled. “It is so regretful that some of my colleagues on the other side of the aisle have politicized this process so much,” Grassley said. He committed to holding the hearings and claimed that “clear precedent” supported him doing so. “In 1994, President Clinton nominated Justice Breyer to the Supreme Court. At that time, President Clinton was under investigation by independent counsel Robert Fiske in connection with the white water land deal,” Grassley said. “President Trump is not even close to being in the same legal situation [as] President Clinton. But obviously, some people around here think he is,” Grassley said. 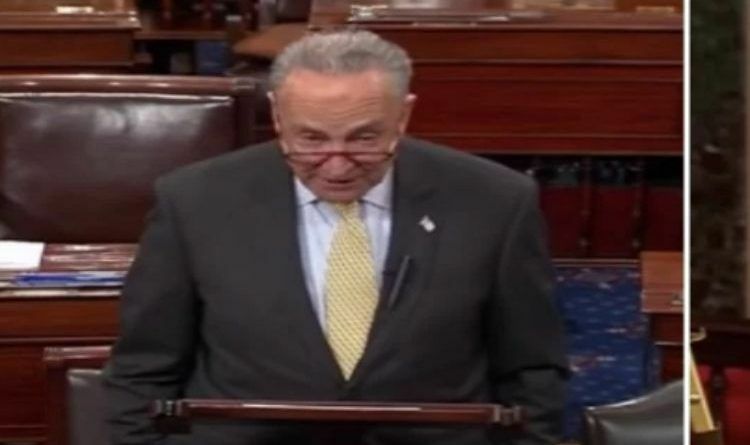 This absurd suggestion from Schumer shows how desperate the Democrats are these days. The only reason to delay confirmation is Democrats think they will get to Trump first. NOT going to happen. His selection will become next justice. So get the hell over it. Stop your resisting. Do your job instead. ← Comey’s Secret Revealed: FBI Only Examined 3,000 Out Of The 700,000 Emails Found on Weiner’s Laptop!